Brice Lodugnon is a Managing Director of Emerging Capital Partners (ECP). Mr. Lodugnon focuses on managing existing investments and leads the firm’s investment processes in Francophone West Africa from deal sourcing and investment appraisal to transaction execution. 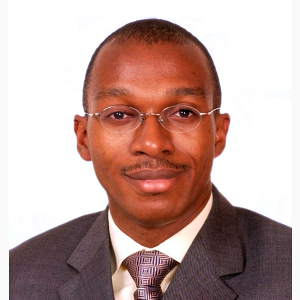 Prior to joining ECP in 2001, Mr. Lodugnon served as Economic Adviser to the Minister of Economic Infrastructure of Côte d’Ivoire and as an Associate in Washington, DC with Taylor-DeJongh, an independent investment banking firm. Mr. Lodugnon holds a master’s degree in engineering from l’Ecole Centrale de Lille in France as well as an MSc degree from the Colorado School of Mines and an MSc degree from the French Petroleum Institute. Mr. Lodugnon has served on the boards of Eranove (West Africa), NSIA Participations (West and Central Africa), Thunnus Overseas Group (Côte d’Ivoire and Madagascar), and Oragroup (West and Central Africa). He is a citizen of Côte d’Ivoire.